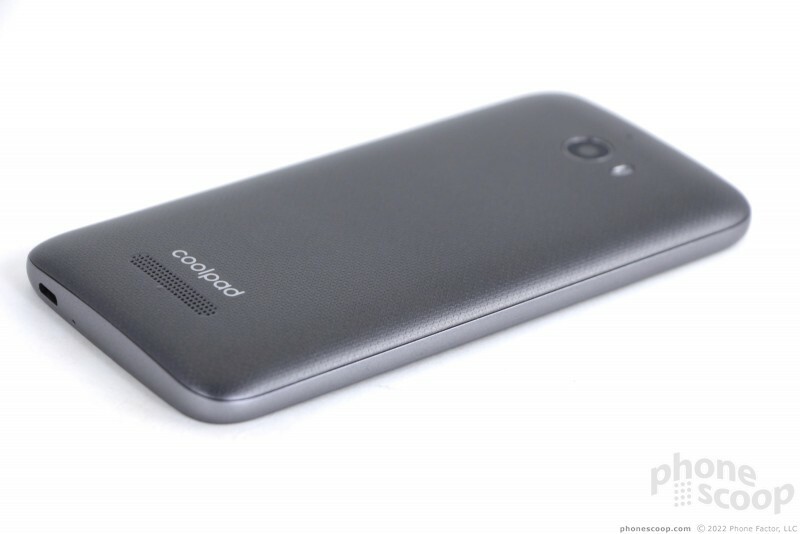 Coolpad's low-cost Defiant is an entry-level device sold by T-Mobile. 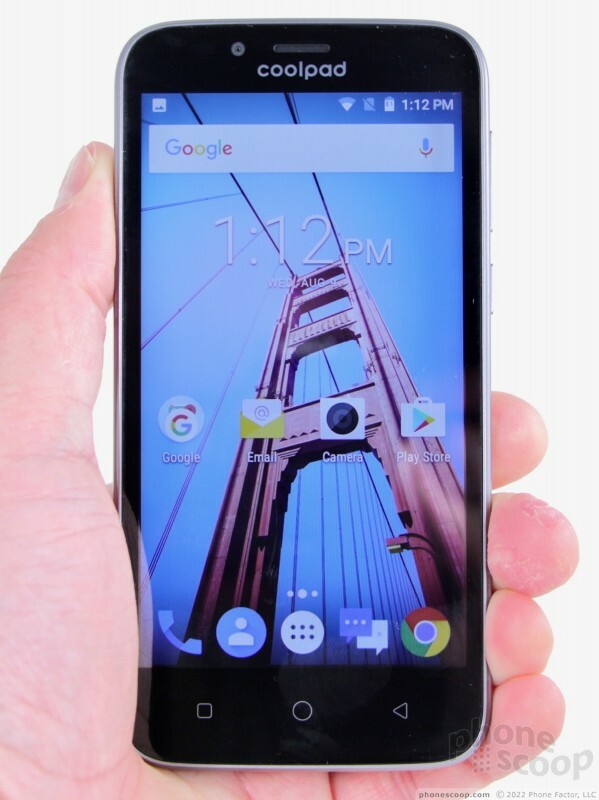 Some aspects of this Android handset are great, but it is held back by some egregious missteps. 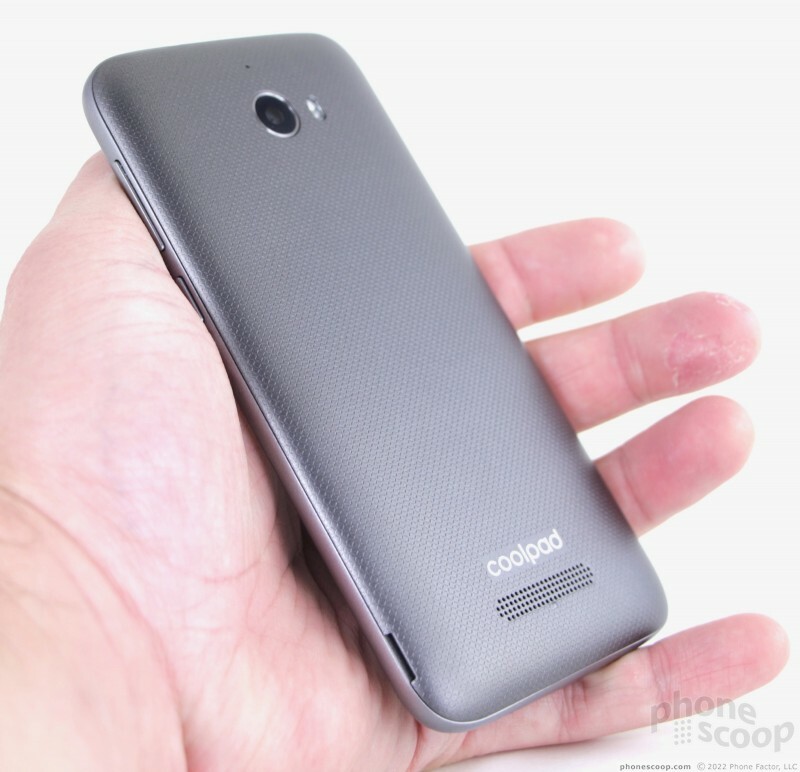 Here is Phone Scoop's in-depth report about Coolpad's not-so-cool Defiant. The Coolpad Defiant is one of the least expensive phones in T-Mobile's lineup. 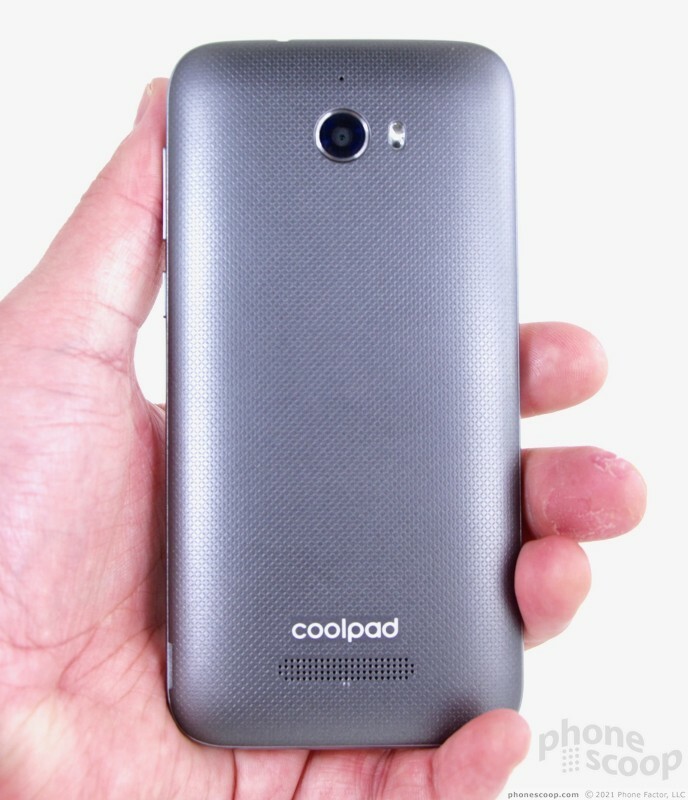 If you're in need of a basic communications tool, or simply want the lowest-cost smartphone possible, the Coolpad Defiant is a decent starting place. The Defiant is an update to the Coolpad Catalyst, which was also sold by T-Mobile. The Defiant carries over the glossy black front and matte gray rear of last year's phone, though it rounds the corners a bit. 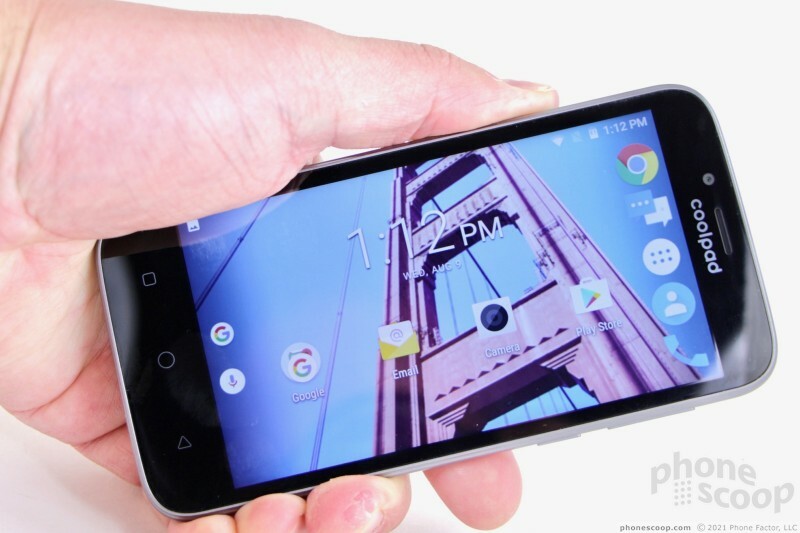 There's no question from the phone's simple design that it's an entry-level device. Everything about it comes off as pedestrian and low-cost. Glass forms the entire face of the Defiant. It's set into a silver-ish frame. The frame forms a very thin raised rim to protect the glass from scratches. The frame has a grainy texture that I rather like. 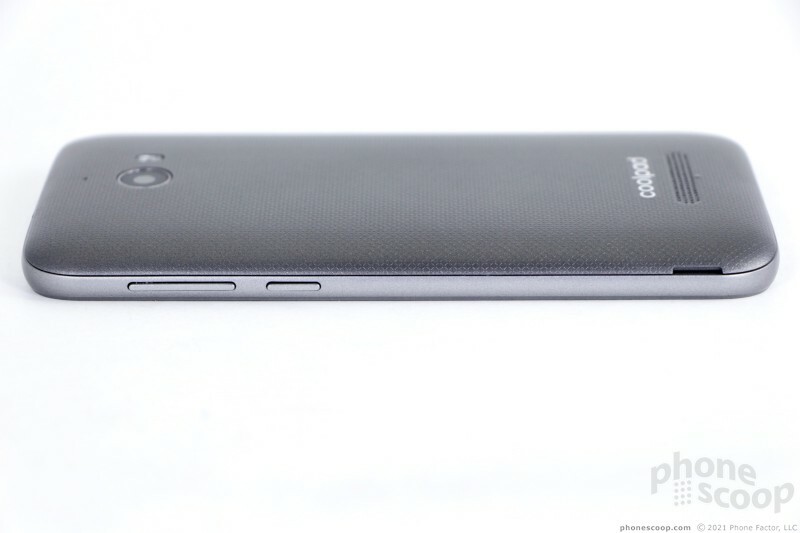 The rear is darker gray patterned plastic that comes off as a bit cheap. Due to its thick bezels, the Defiant is not as compact as I'd like for a phone with a 5-inch display. It's also rather thick at 10.2mm. Smaller hands will find it big while those with average or larger hands should find it comfortable. 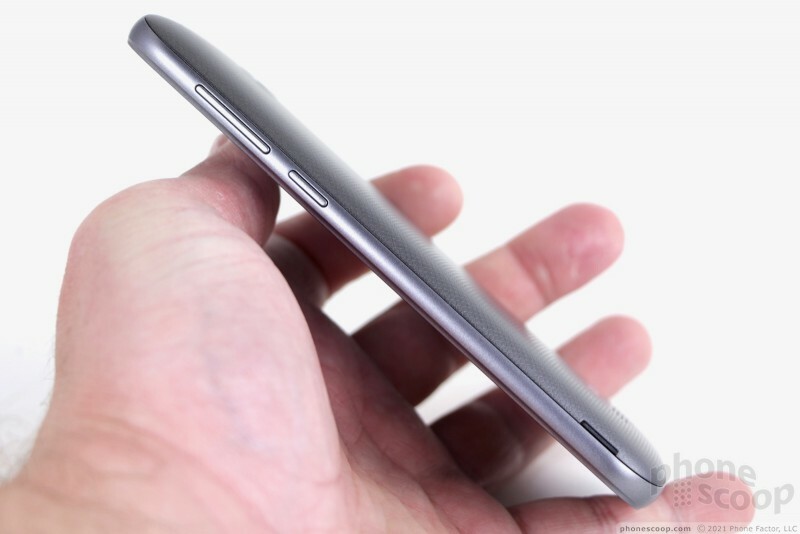 The curved shape of the side edges helps the phone sit deeper in your palm. It's a one-handed phone, which I'm sure many will appreciate. The materials and build quality are fine, considering the price point. The three major chassis components (glass, frame, rear panel) are all fitted together perfectly. I didn't see any gaps or unevenness in the seams. It looks and feels tight. The rear plastic shell is the least impressive chassis element and yet I've encountered far cheaper rear shells in my day. It snaps on firmly. The Defiant's face is plebian. 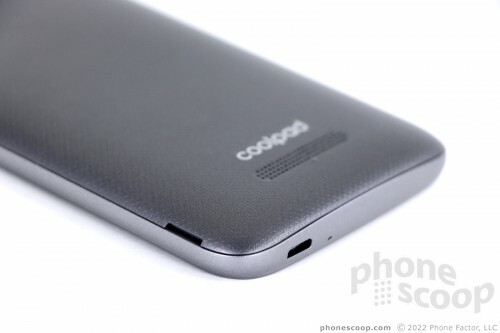 The user-facing camera is just to the left of the earpiece, while the Coolpad logo is painted on just above the display. The logo looks squished. The biggest piece of evidence suggesting the Defiant is a low-cost phone is the display, which looks awful when the screen is off. The display itself is set far below the cover glass, and this creates a shadow as you tilt the phone around. It doesn't help that the display is gray when off, which contrasts poorly with the deep black bezels. 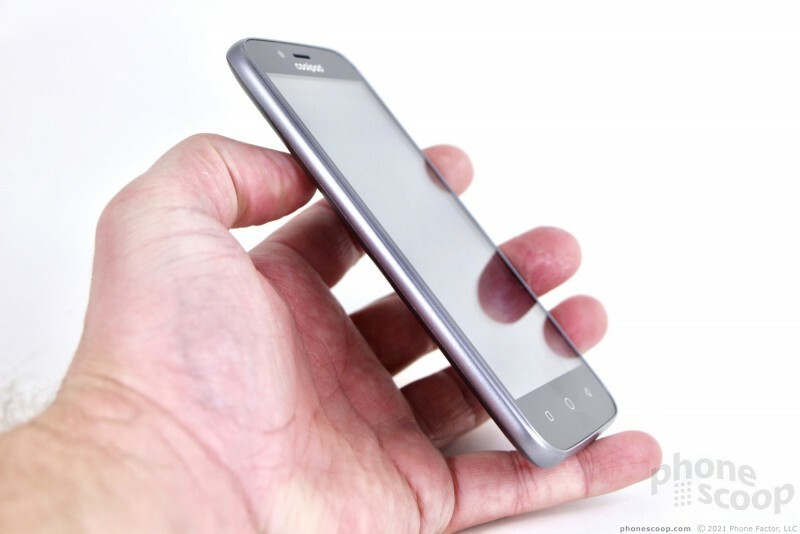 Speaking of which, the bezels are thick all the way around. It's just not a good look. 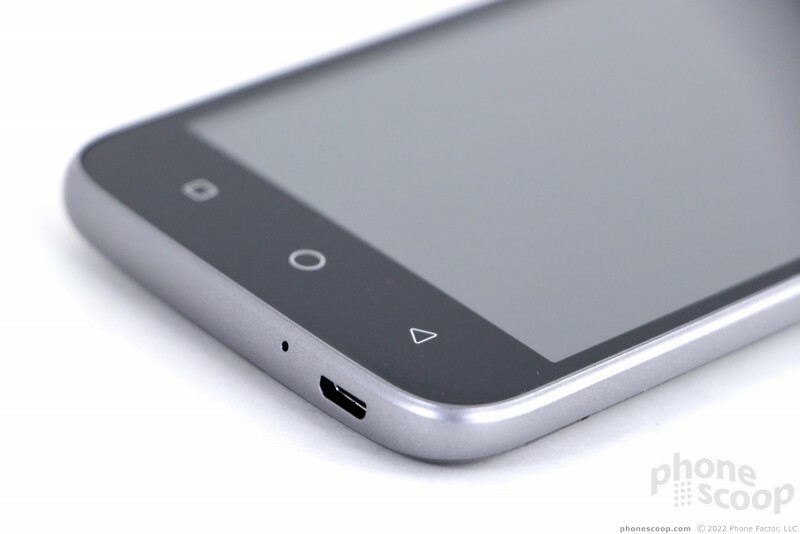 Three capacitive buttons line the Defiant's chin (app switcher, home, back.) The buttons do light up. You'll find the screen lock button and volume toggle both on the Defiant's right edge. The buttons' good profiles make them easy to find and use. Travel and feedback was very good. I do wish the volume toggle had physical bumps or nubs to make it simple to tell up from down; the button is hardly an inch long and I often accidentally lowered the volume when I intended to raise it and vice versa. 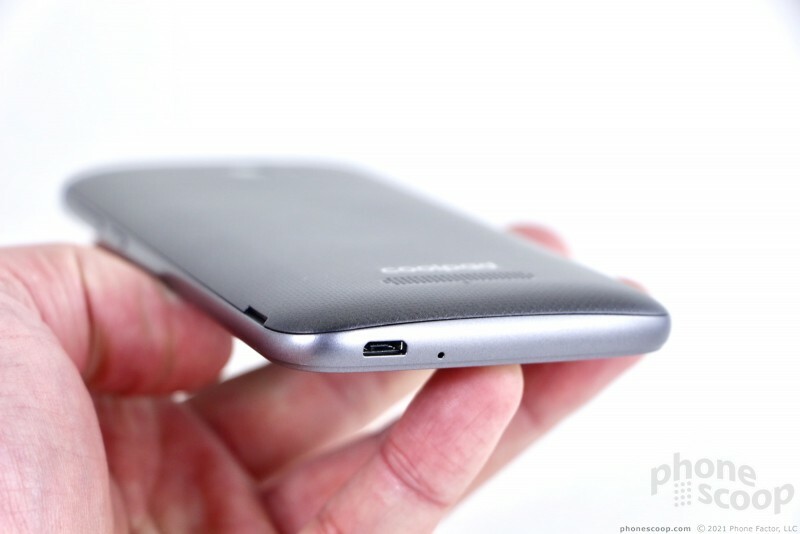 The 3.5mm headphone jack is on top and the microUSB port is on the bottom. 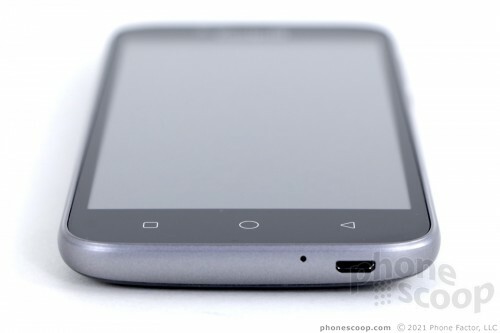 The rear panel is a gently bowed bit of plastic with minimal design elements. The plastic has been stamped with a diamond-like pattern that gives it some texture. It's almost impossible to see from more than a few feet away. A small circle near the top contains the main camera. 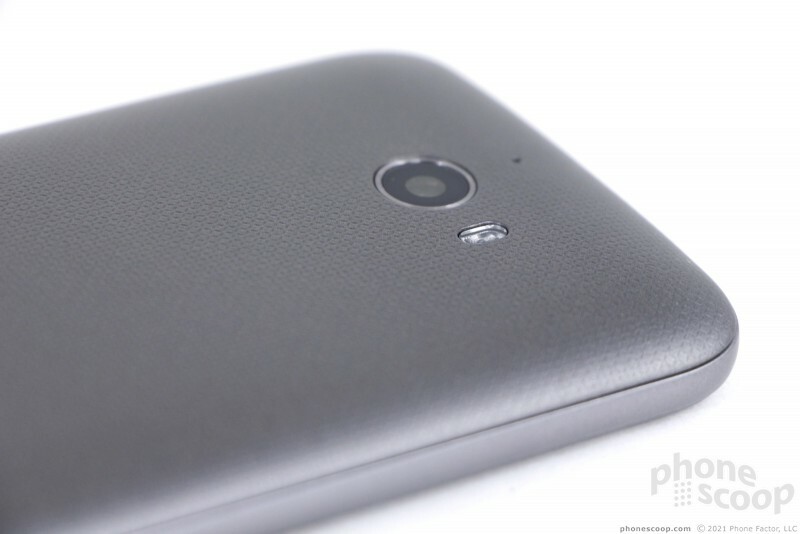 The camera has a thin chrome rim and is set level with the rear surface. The dual LED flash is just off to the right. 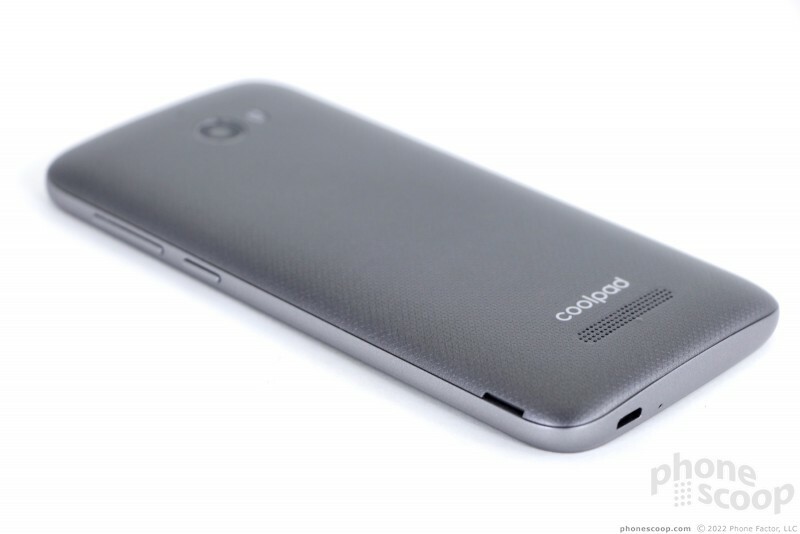 Coolpad's logo is painted on the rear, too, just above the speakerphone. I had no problem peeling off the rear shell. The battery is removable. 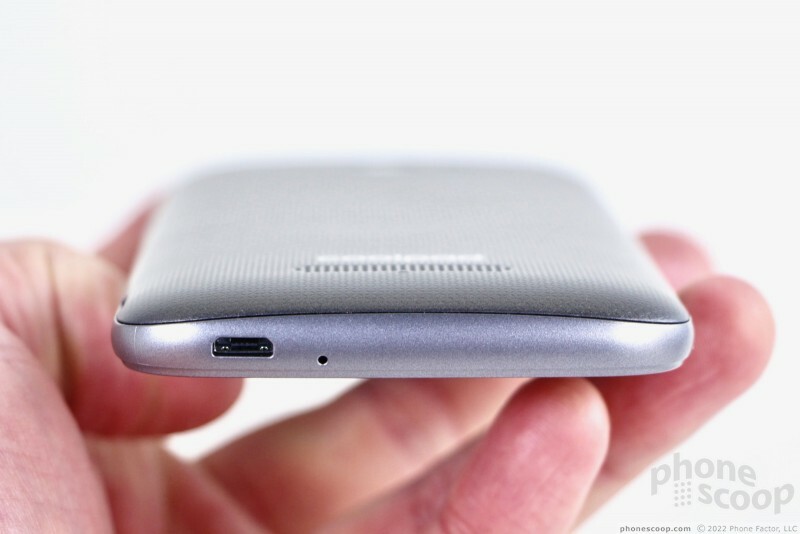 The microSD memory card slot is off to one side and can be accessed without removing the battery. 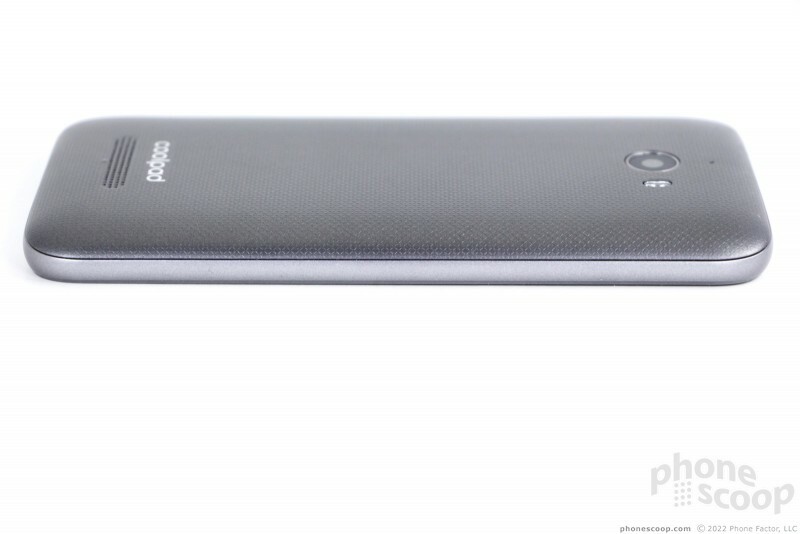 Coolpad's Defiant sets no trends. 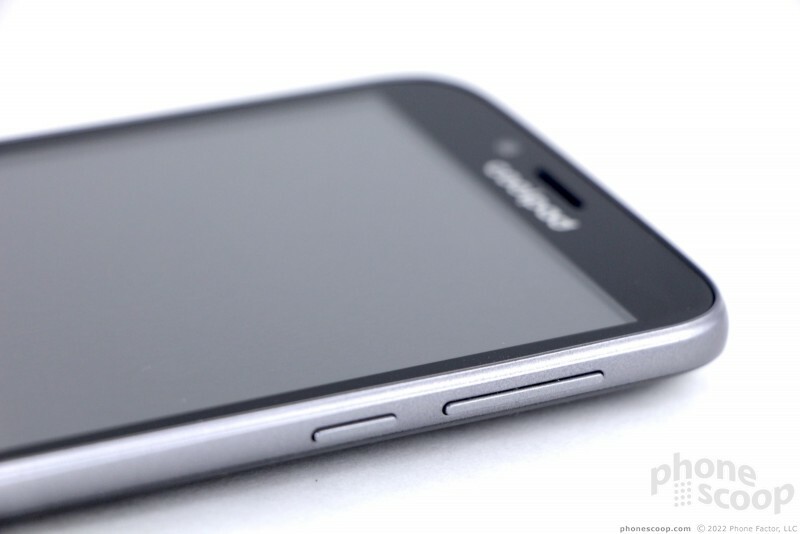 It is a simple smartphone that matches its price point as far as the hardware experience is concerned. The screen is terrible. No, really, it's quite bad. The 5-inch dimensions are just fine, but the FWVGA (854 x 480) resolution is just not good enough. I haven't seen resolution this low on a phone in a long time. 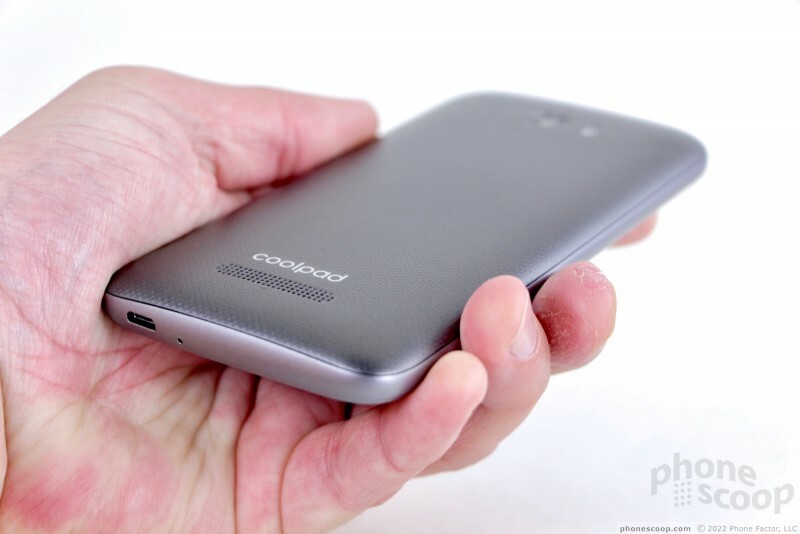 Had Coolpad improved the resolution one step to 960 x 540, the screen would look better. Pixels are visible everywhere and on-screen text and graphics have fuzzy borders. To make matters worse, the glass was not treated by an oleophobic coating. This means fingerprints and finger oil quickly form a layer of grime that's hard to eradicate. And then there's brightness. The phone pumps out enough light for indoor use, but it struggles outdoors. You'll have to turn the brightness all the way up to see the phone under sunlight, and even then fingerprints and high reflectivity on the glass mar the experience. Using the camera outdoors on a sunny day is all but impossible. Viewing angles are no good. It's among the worst screens I've seen on a modern phone. The Defiant doesn't run on T-Mobile's network as well as other phones I've tested recently. It connected to 4G most of the time and yet sometimes dropped down to 3.5G and even 2G, which I haven't seen in a long time. The phone connected the majority of calls on the first dial, but it tended to drop more calls than other T-Mobile phones. It was particularly inept at holding onto the network at highway speeds. It also lacks Band 66, so it can't use the newest parts of T-Mobile's network. Data performance was well below what I expect from a modern handset. Yes, technically, it offers 4G most of the time, but speeds were very slow. T-Mobile devices often deliver peak download speeds north of 50 Mbps, with average speeds in the high teens. The Defiant was stuck around 5 Mbps most of the time. This meant YouTube and Spotify didn't run well over the network. Instagram and Facebook were slow. Email and messaging was fine. Phone calls are of middling quality at best. The speaker offers enough volume so you can hear calls in most places, but it creates a huge amount of distortion that I found really distracting. Calls are choppy and full of noise as they come through the earpiece. It was often hard to understand people during calls, and they said they had trouble understanding me. The speakerphone is a bit better. Volume is good enough, but clarity is much improved. In fact, you may want to skip the earpiece and use the speakerphone for most calls because it's that much better. Ringers and alerts should be loud enough for most people, and the vibrate alert was good. If the Defiant has a bright spot, battery life is it. The 2,450 mAh battery is a touch smaller than those in competing models, but the low-resolution screen does a lot to help prevent power drain. The Defiant routinely delivered a full day of battery life with plenty to spare. The phone often had as much as 40% remaining when I headed to bed. 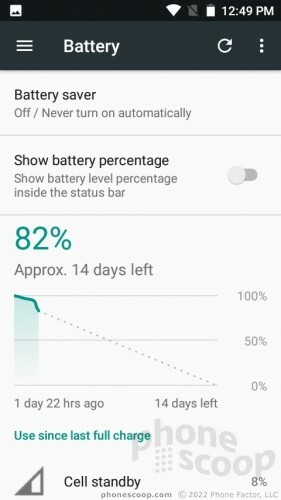 Even heavy use of social networks didn't impact the battery too much. It does well. 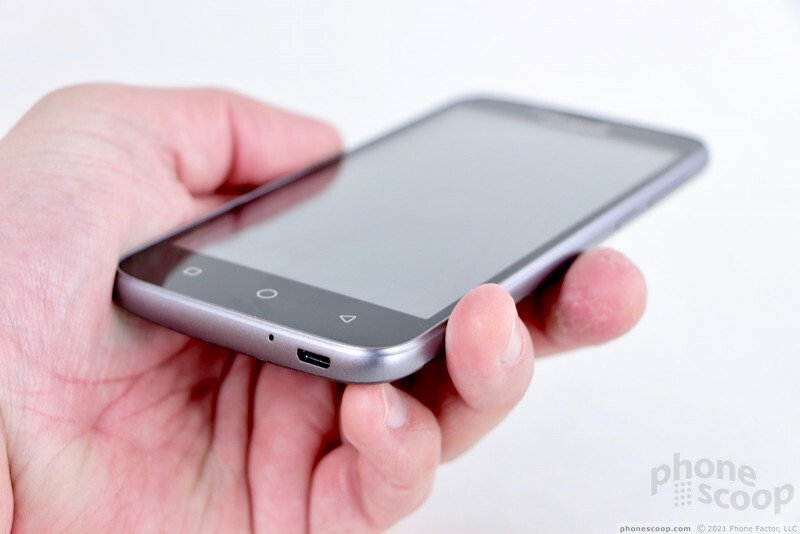 The phone includes the simple, base Android power saver tool. It helps a little if you get into trouble. The Defiant does not offer rapid charging nor wireless charging. I got mixed performance from the Defiant's secondary radios. The Bluetooth radio, for example, was a chore to use. It was fussy about pairing with other devices, particularly my car. Phone call quality via Bluetooth was pretty rough, but at least music sounded okay through my favorite Bluetooth speaker. The GPS radio was accurate to within a few feet, but Google Maps ran poorly on the Defiant. It was often behind in real-time navigation scenarios. The WiFi radio was a real lifesaver. Given the phone's so-so LTE 4G performance, I found myself gravitating towards WiFi connections more often. Thankfully the WiFi radio performs well. NFC is absent from the Defiant. 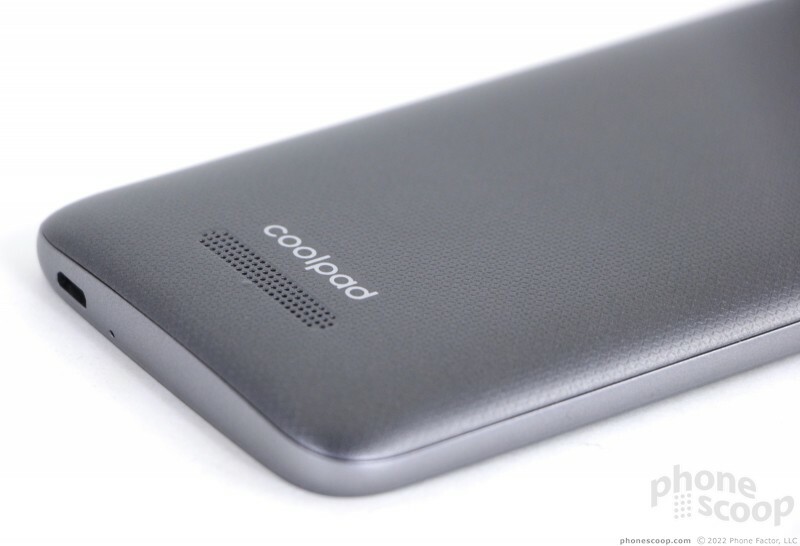 T-Mobile today added the Coolpad Defiant to its roster of inexpensive Android handsets. 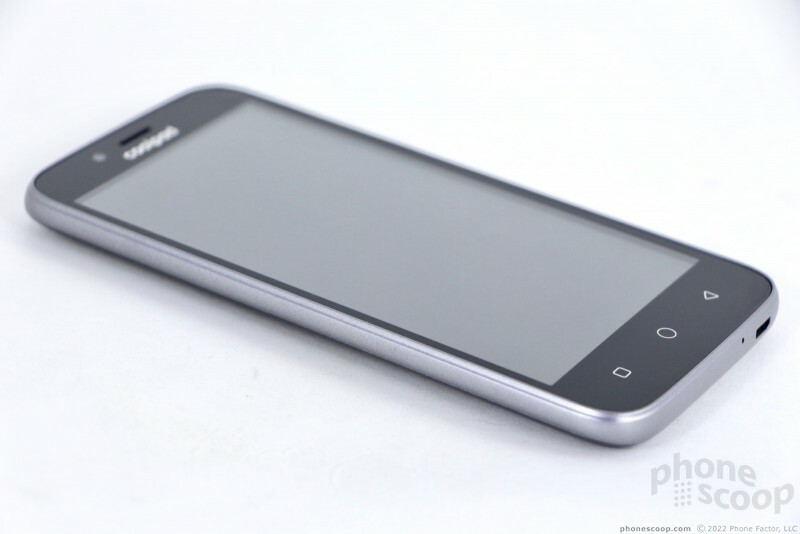 The phone features a 5-inch screen with 854 by 480 pixels and it is powered by a 1.4 GHz quad-core processor with 8 GB of storage. LG's Tribute Dynasty is a sub-$100 handset sold by Boost Mobile and Sprint. This low-cost Android handset features a simple design, average build, and entry-level capabilities. 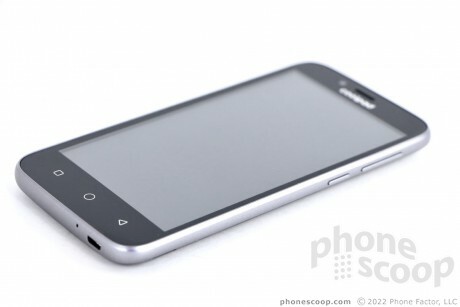 Coolpad's latest smartphone for the U.S. is the Conjr, a low-cost Android handset that's sold unlocked.